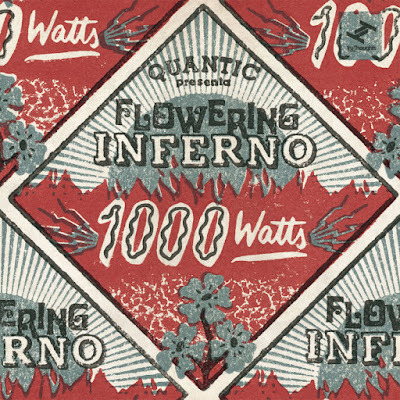 Here’s the third album from Flowering Inferno, the tropical band project of industrious producer-musician Will (Quantic) Holland. 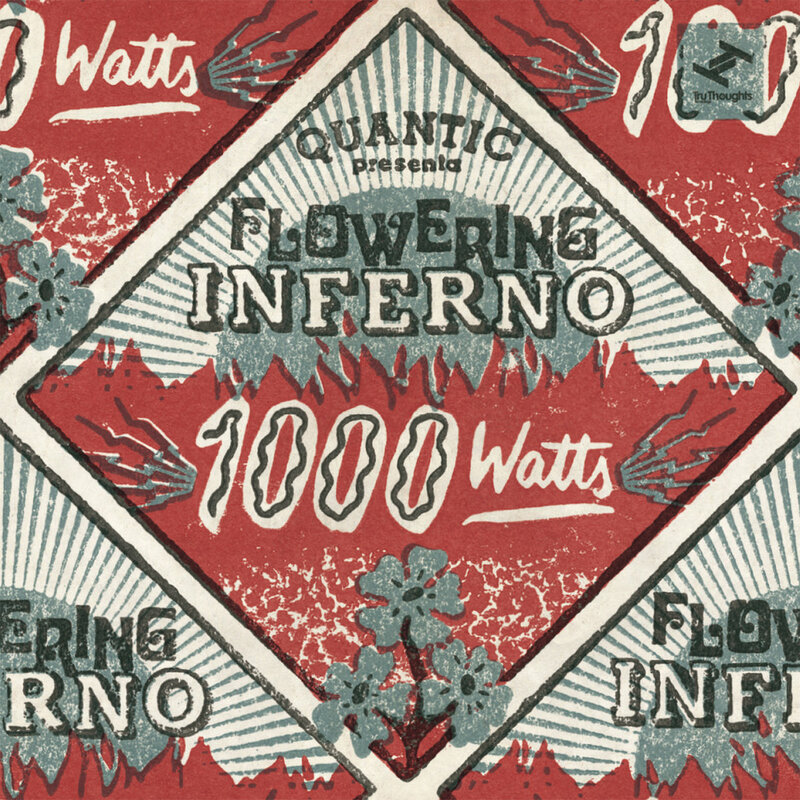 Flowering Inferno reflects Holland’s obsessions with Jamaican and Colombian music; this time the emphasis is mostly on the former, with a little bit of the latter sneaking in. The core sextet (trumpet, reeds, organ, guitar, bass and drums) is extremely tight – these certainly aren’t jam sessions, in fact one of this session’s delights is in hearing all the little, thought-through details in the arrangements. The combo expands with a string quartet on a few numbers, none better than track 3 which also has some tasty dub remixing. There are guest vocalists on several songs: 5 features Hollie Cook on a track that fits perfectly with her excellent 2011 Prince Fatty-produced debut, and 9 stars Nidia Gongora from Quantic’s Combo Barbaro and Ondatropica projects on a riddim that’s half-reggae, half-cumbia. And the sextet shines on its own on 10 and 13, original instrumentals that harken back to the glory days of rocksteady (10) and ska (13). This album is tasty throughout, an enjoyable listen from front to back.